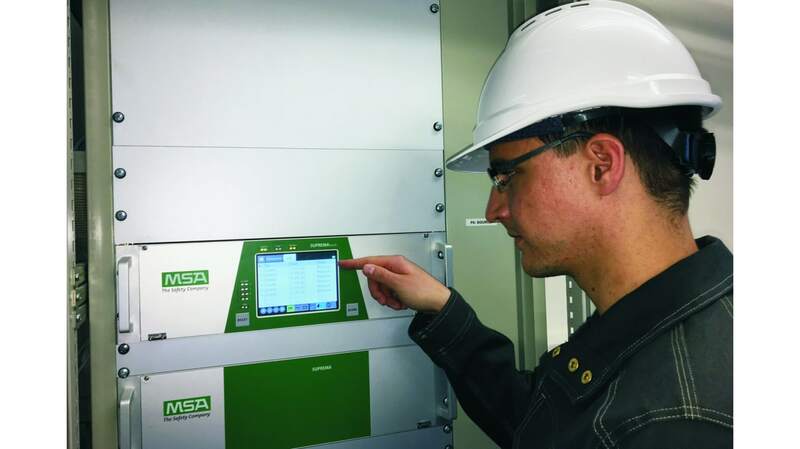 Again MSA has upgraded the SUPREMATouch, the well-known modular Fire & Gas Controller, allowing to operate 256 measurement inputs and 512 digital outputs. The new MAI 30 module is the next generation of the Analogue Input Module of the SUPREMATouch Fire & Gas Controller system from MSA. All the proven features of the former MAI 20 module have been retained and combined with new and extended hardware and software features. The state-of-the-art electronic design reduces the number of individual module to operate different kinds of gas and flame detectors from 11 to only 3 allowing a considerable cost reduction in system design and for maintenance. SUPREMATouch MAI 30 Module now offers HART ability. This allows combining the SUPREMA Touch with appropriate MSA flame – and gas detectors and enables users to perform a quick and convenient evaluation of the instrument status. The new MAI 30 module is embedded into the SUPREMATouch ATEX approval for safety related applications and it is SIL 3 approved by TUV. Additional Ethernet and USB ports are placed on the rear terminal board for improved communication with SUPREMATouch. For commissioning and maintaining large systems Windows based SUPREMA Manager PC software is available which also provides for printing of system reports. SUPREMA Manager PC software will get an approval acc. to EN 50271. These new features extend the range of applications and make SUPREMATouch the ideal choice for your next fire and gas detection system! For further information please contact your local MSA affiliate or visit MSAsafety.com.